Spring is in the air, but for the sporting world, there is no clearer sign of the seasons changing than what’s happening in Augusta, Georgia this week. The Masters Tournament is here! The Masters is steeped in history. First played in 1934, it has become the premier major tournament in professional golf. Designed by the legendary amateur champion Bobby Jones, the first Grand Slam winner, and one of the game’s golden-era architects Alister MacKenize, the mystique of Augusta National Golf Club is unlike any other place. 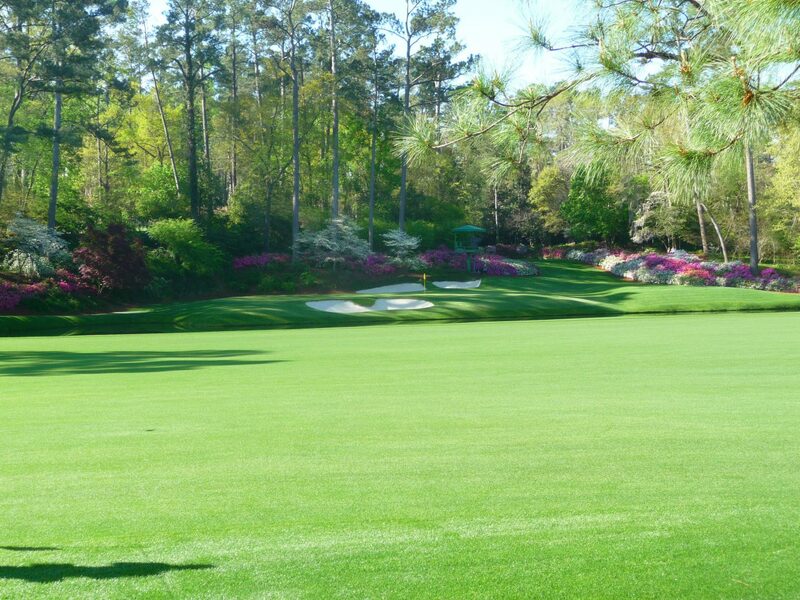 Rolling Georgia hills dotted with azaleas, dogwoods and junipers make for an incredibly picturesque setting for the sport’s most prestigious championship. The natural beauty of No. 12, a short par-3 in the middle of Amen Corner. Buffalo.Agency has been fortunate enough to be on-site for many editions of the Masters Tournament. 2018 is no different, and we are excited to give an inside the ropes view on what’s happening this week from Augusta. With memories (and photos) to last a lifetime, three distinct moments stand out. Tiger Woods going for it at No. 8. Society has pushed a notion that heroes are fictional characters. This week, I realized we’ve been wrong. My golfing heroes are humans just like you and me. Speaking with Rory McIlroy on the first tee, making a suggestion directly to Tiger Woods that he not lay up on the long par-5 No. 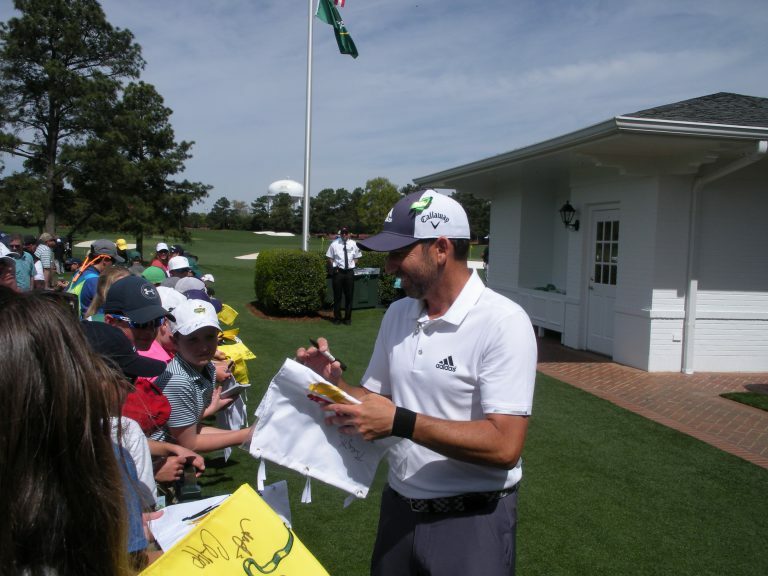 8 hole named Yellow Jasmine and chatting with 2017 Masters Champion Sergio Garcia about the joy of having a child was something I never believed would be possible. Sergio Garcia signing autographs for adoring fans. Hundreds of individuals from across the country take time away from their busy lives to help execute the logistical challenge that is Masters Week. Taking the time to speak with half a dozen volunteers throughout the day, I sat with a Seattle-native for more than 30 minutes who has supported the event since the late 1990s. 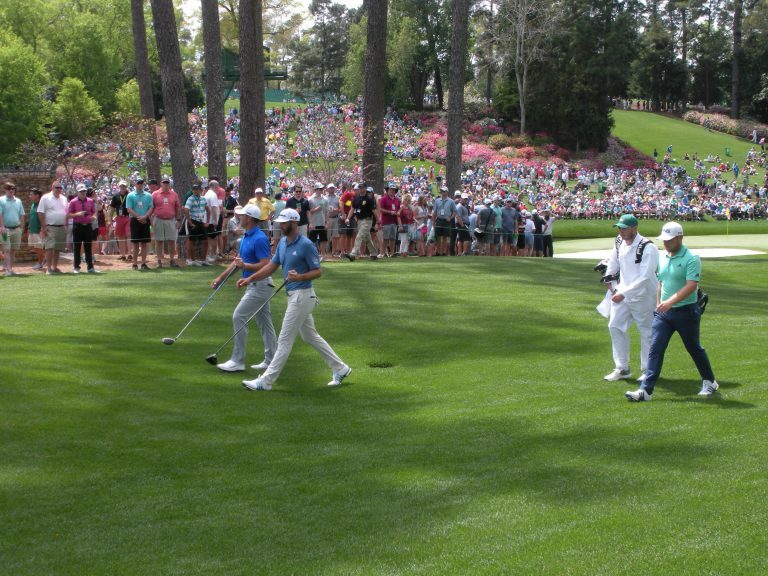 It’s no secret, but to reward these efforts, volunteers are invited to play the course in late May just before Augusta National Golf Club closes for the season. A scratch golfer, the lowest this gentleman ever shot was an 83. 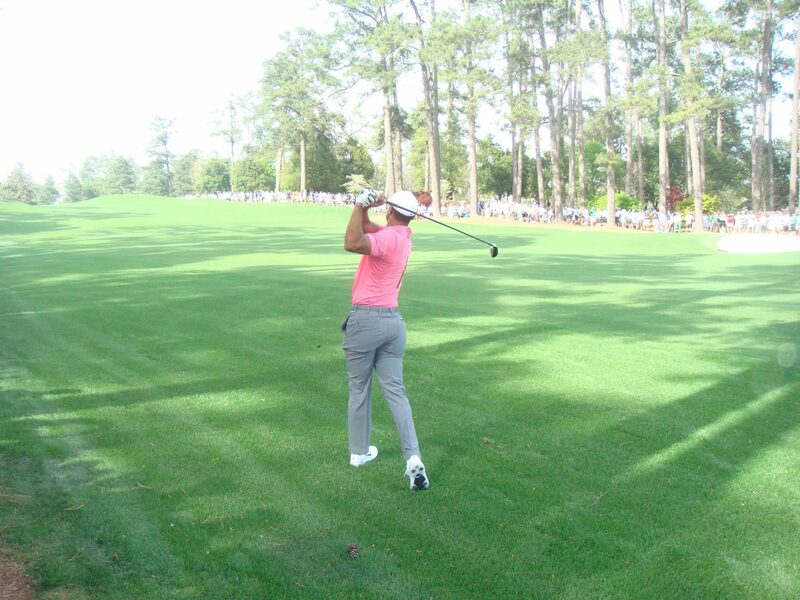 Dustin Johnson strolling the fairways of Augusta National Golf Club. The Masters was first established thanks to the vision of Bobby Jones. Customs and traditions more than 80 years in the making are ever-present today. As I headed towards the North exit, an Augusta National Golf Club member was walking the opposite direction. With a humble tone, calm demeanor and a thick Australian accent, he shared what the Masters meant to him. “YOU are what makes this week so wonderful.” I thanked him for this gesture and hoped we may cross paths again. This experience was truly unlike any other. Part two with Buffalo.Agency at the Masters Tournament is available now.